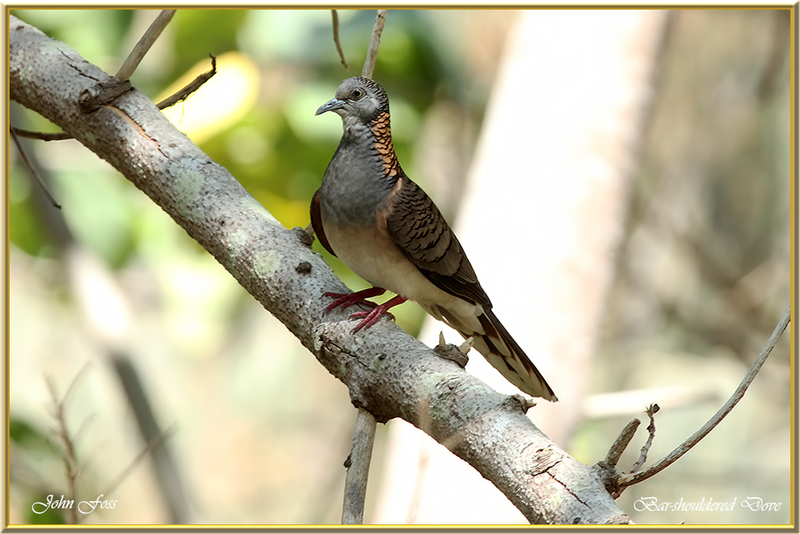 Bar-shouldered Dove - is a native bird to Australia. It is protected under the National Parks and Wildlife Act 1974. 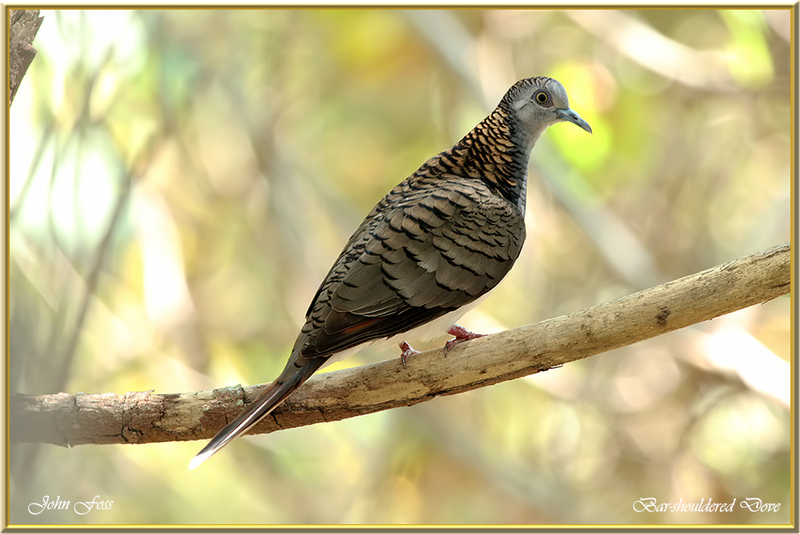 A striking bronze winged dove with a distinctive call. Prefers damp habitats such as mangroves swamps and river margins. They frequent coastal regions as well as inland areas like forests and gorges. 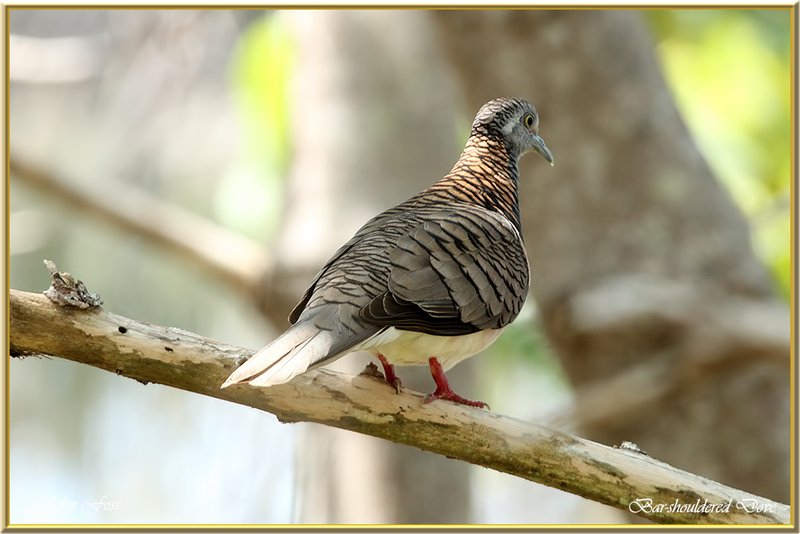 This bird was photographed in Bundaberg Australia.